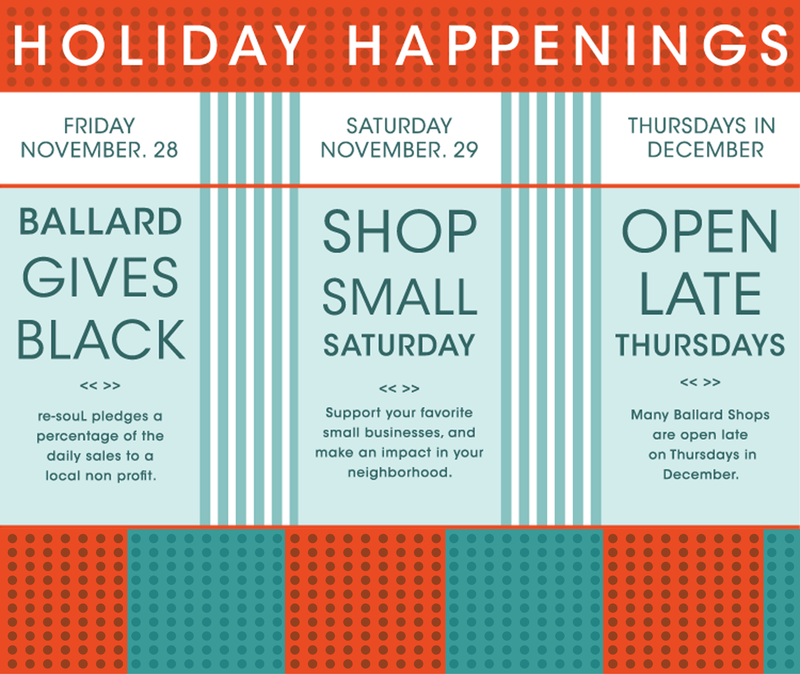 Now in it’s second year, Ballard Gives Black Friday is an event conceived by local merchants in the Ballard neighborhood of Seattle. The event occurs on the day after Thanksgiving but instead of long lines, doorbuster deals and crowded parking lots, Ballard retailers welcome shoppers to a different experience; keeping it local. Participating merchants pledge a percentage of the day’s business to a local non-profit as a way of encouraging community, letting shoppers know that more of their hard-earned shopping dollars stay in the community when you shop local. Shop Small Saturday encourages people to shop at small businesses on the Saturday after Thanksgiving. The single day has grown into a powerful movement, and more people are taking part than ever before. Join the revolution, get out and Shop Small on November 29th and make an impact in your neighborhood. Many Ballard Shops are open late on Thursdays in December, including us! We’re actually open until 8pm Monday thru Saturday, for your shopping convenience. December is the perfect time to shop Ballard after dark with the streets are all lit up with twinkly lights. For other Ballard neighborhood events, check out the Ballard Chamber or MyBallard. Back in July we were musing about retail. Small retail. Independent retail. We’re gearing up for the holidays and it’s the perfect time to reach out to our re-souL community to remind you how important it is to support small businesses. Back in 2010, American Express founded Small Business Saturday to help businesses with their most pressing need — getting more customers. The day encourages people to shop at small businesses on the Saturday after Thanksgiving. The single day has grown into a powerful movement, and more people are taking part than ever before. This year, the big day is Nov 29. 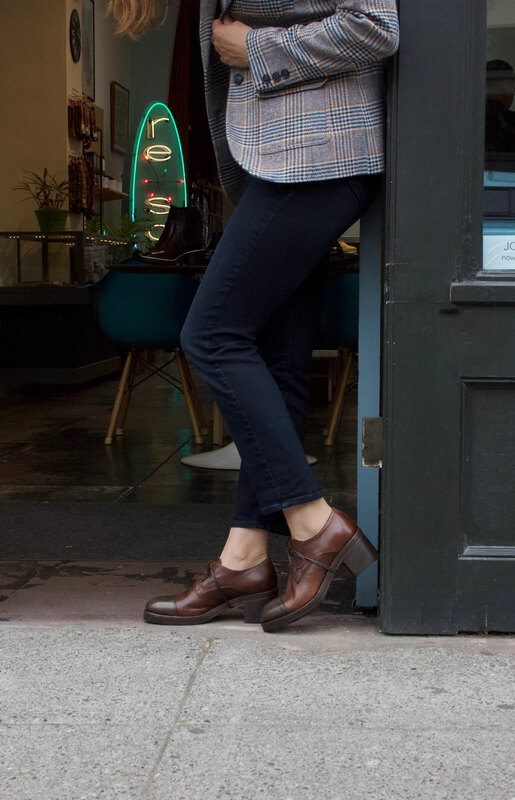 Here are the top 4 reasons you should shop small. Local businesses often hire people who have a better understanding of the products they’re selling, and take more time to get to know their customers. Independent businesses make purchases requiring less transportation and are usually located in commercial corridors and in-town instead of developing on the fringe. This means less sprawl, congestion, habitat loss and pollution. When you shop local, three times the revenue remains in your community, supporting parks, schools and more! For every $100 spent at a locally owned business, $45 goes back into the community and our tax base. For every $100 spent at a chain store, only $14 comes back. Independent businesses are the largest contributors to LOCAL charities. Non-profit organizations receive an average of 250% more support from local business owners than they do from non-locally owned businesses.